Review: Set in the North of England, a young miner’s son is changed one day when he stumbles upon a ballet class. He was on his way for boxing lessons. He decides to join the ballet classes but keeps it a secret from his dad and his brother. Once they find out they forbid him to carry on. Now undecided he must choose between his unexpected love of dance and his family. Dancing is his passion and his destiny. This is the first directorial debut from Stephen Daldry. He has since directed films such as The Hours (2002) and The Reader (2008). Jamie Bell is fantastic in this. Just like Stephen Daldry this is Jamie Bell’s first feature as an actor. Also an outstanding performance from Julie Walters. The musical version of this film hit the West End in 2005 which had rave reviews and numerous awards. The musical reportedly cost £5.5 million to make, around £3 million more than the film version. Also the Broadway production cost $18 million to make. This is over 3 times as much as the original film’s budget. All three were a financial success. At the Bafta Awards in 2001 Greg Brenman, Jonathan Finn and Stephen Daldry won an award for the Alexander Korda Award for Best British Film. It also got two other awards Best Performance by an Actor in a Leading Role (Jamie Bell) and also Best Performance by an Actress in a Supporting Role (Julie Walters). 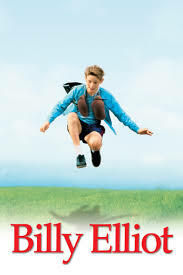 On Rotten Tomatoes the consensus states “Billy Elliot is a charming movie that can evoke both laughter and tears”.